I have done these designs for the title. I have decided on calling the game "Divination". I wanted to make the name of the game quite unique and have strong relevance to the plot of the game. As most of the game is spent exploring and searching for resources, I felt this is an appropriate name, and it also adds mystery as to why the World in the game is what it is. By using several fonts from Photoshop, I have tried to make them suit the game and the style. Some of them are fairly similar in font, so it is the colours that separate them apart. However, some of these remind me of existing fonts for games, for example design #7 reminds me of Halo and design #4 reminds me of the Blizzard logo. My favourite is design #3. 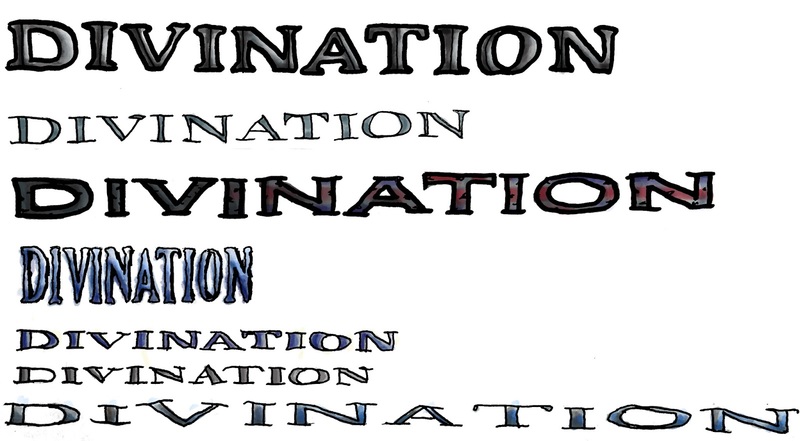 As the game is set in London, I added the Union flag in the letters, which spell "Nation".